After days of high volatility, Monday saw global shares slide dramatically. The global stock market did show signs of improvement, indicating that the sell-off was sudden, and more of a 'temporary glitch'. Today, however, following another day of sharp falls on Wall Street, major Asian stock markets plunged as well. US stocks suffered the most, experiencing their worst fall in over six years. The Dow Jones Industrial Average(DJI 30) tumbled 4.6% in a single day, closing down at 24,345.75. It was followed by the S&P 500, down 4.1%, as well as the Nasdaq 100, dropping 3.7%. TheFTSE 100 also fell to close down 1.46%. Meanwhile in Asia, Japan's Nikkei 225 sank 4.8%, while Australia's S&P/ASX 200 was down 2.7%. Luckily for you, one of the biggest strengths of Admiral Markets as a broker is its rich product range, offering Forex and CFDs on shares, commodities and bonds! Take Gold, for example – it's one of the world's most popular hard commodities, nearly as popular among traders as any of the major currency pairs, and you can trade Gold CFDs with us! A giant bearish SHS pattern on Gold appeared at the top of the move, and it almost resembles the bearish rooftop pattern. The pattern suggests continuation of a bearish trend. However, the price is close to M L4/W L5 support, and we could see a rejection-retest of W L4 zone around 1319 level. After a retest, we could see another bearish rejection towards 1307, and if the price breaks 1307, then 1,281.05 should be the next target. Have in mind, that the price could break the W L5 on a strong bearish momentum without a bounce towards the W L4, but we assume the bounce is likely due to an active weekly/monthly support zone. Admiral Markets offers a variety of CFDs on commodities, including Gold, Silver, Brent & WTI Crude Oil, Natural Gas, and more. Looking for something else? Check out our full product range! Before you start, make sure you have a Live Account and MetaTrader 5 to get the most of your trading experience. 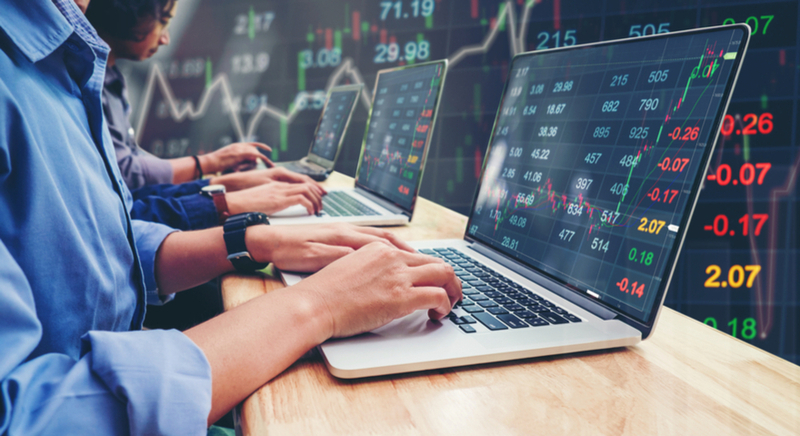 If you're looking to test a new strategy or improve your trading skills, perhaps you should opt for a Demo Account first, which will let you practise as much as you need in a risk-free environment. Maybe, you need more theoretical advice? Feel free to explore our Education Section which covers all of your questions in free live and recorded webinars, as well as insightful articles and tutorials.